Pakistan's hopes of automatic World Cup qualification toughened as they plummeted to their lowest-ever rating of 86 after losing the five-match ODI series 1-4 against England. Despite the four-wicket consolation win in the fifth and final one-dayer on 4 September, Pakistan are in serious danger of failing to qualify automatically for the World Cup 2019, as they are now eight points behind eighth-ranked West Indies. Pakistan had started the series on 87 points and 86 is their lowest-ever points tally since the current rankings system was introduced in 2001. With Pakistan's forthcoming ODI series being against the West Indies and Australia, it has left itself with a mountain to climb to keep alive its chances of qualifying automatically for the ICC World Cup 2019. However, Australia and England have consolidated their positions on the MRF Tyres ICC ODI Team Rankings after completing identical 4-1 series victories over their respective oppositions in the series which ended on 4 September. Australia, who scored a five-wicket win over Sri Lanka in the final match in Pallekele, have moved from 123 points to 124 points, and in doing so, have opened up an 11-point advantage over New Zealand. 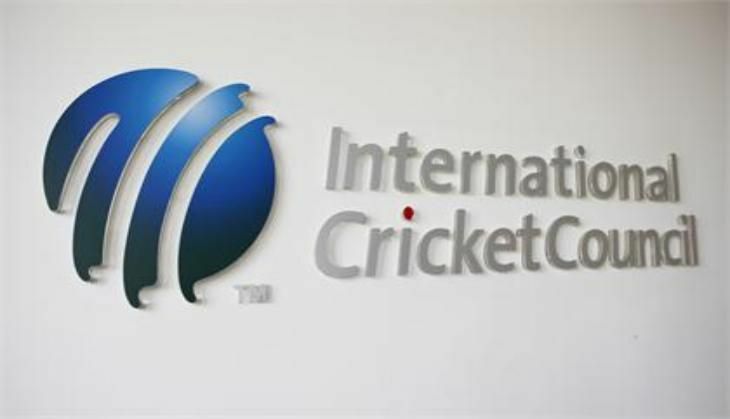 They will now aim to reclaim the ICC Champions Trophy title to add to its World Cup trophy, when it is staged next year in the United Kingdom. Sri Lanka have retained their sixth spot but have dropped a point. Sri Lanka's one-point drop will interest seventh-placed Bangladesh, who are just three points behind their Asian rival and have two upcoming three-match ODI series each against Afghanistan and England coming up. If Bangladesh wins all the three matches against Afghanistan, plus manages the series win against England, then they'll achieve their highest-ever ranking of sixth. Meanwhile, England, who will attempt to win their maiden 50-over ICC title when they hosts next year's ICC Champions Trophy, have sent out a warning to the other sides after an impressive series win against Pakistan. The series result against Pakistan have seen England move from 106 points to 107 points in fifth position - three behind India and South Africa, who are at 110 points each with India ranked ahead of South Africa on decimal points. England and the seven highest-ranked sides on the MRF Tyres ICC ODI Team Rankings as on 30 September 2017 will qualify directly for the ICC's pinnacle 50-over tournament, while the remaining two sides will progress from the 10-team ICC World Cup Qualifier 2018.